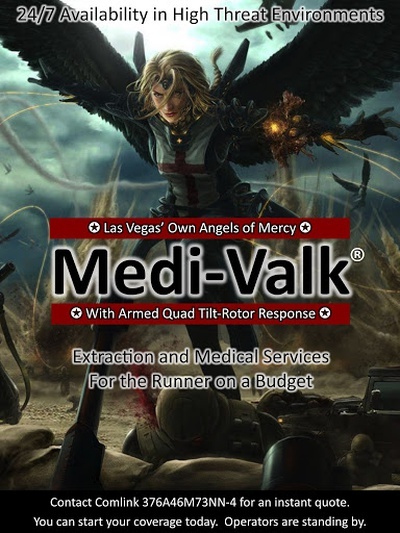 Medi-Valk, short for Medical Valkyrie. We are a threadbare operation operating out of a third rate industrial park, in a run down office building with a landing pad on the roof. We only have enough money to run cheese infomercials at 3am. SR: Troll Pride has no Events. SR: Troll Pride has no Factions. SR: Troll Pride has no Territories. SR: Troll Pride has no notes.